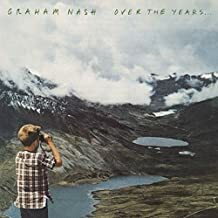 NEW ALBUM: Graham Nash "over the years"
Nothing quite like CSN (and the occasional Y). Lovely stuff. There are at least two of my favourites on this compilation … “Cathedral” https://www.youtube.com/watch?v=wI7phwtRjUA and “Wind on the Water” which seems to be missing the critical first part on this release – pardon the pun … puzzled as to why they’d cut it out? Also – that song isn’t playing on Spotify or Deezer – maybe due to differences with Crosby.